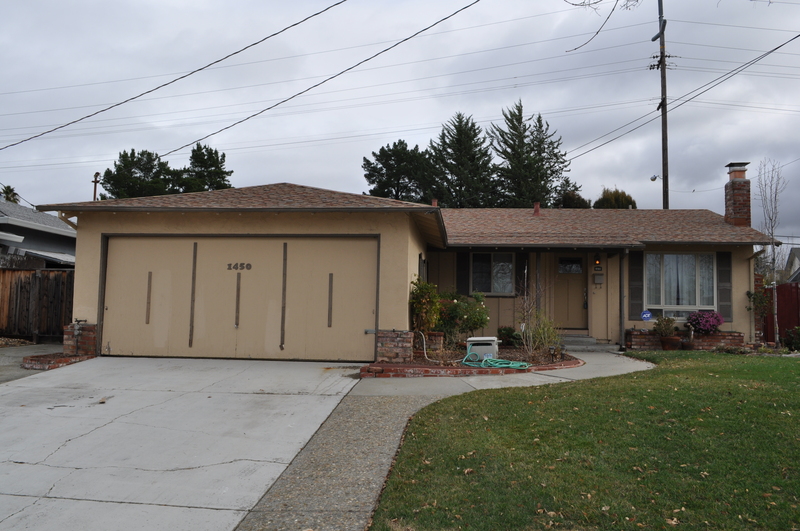 The East Bay Short Sale Group is proud to announce the recent sale of 1450 El Dorado Drive in Livermore. This 3-bedroom, 2-bath property is part of the Sunset West subdivision and comes complete with many updates including a beautifully tiled, remodeled bathroom, hard wood flooring and laminate flooring, updated kitchen with gorgeous oak cabinetry, and a whole house fan. The backyard offers a lot of possibilities for entertaining or gardening. This spacious 1,562 sq. ft. home on a 6,339 sq. ft. lot is located in the coveted Livermore Valley Joint Unified School District. Surrounded by thousands of acres of vineyards and close to 40 local wineries including the popular Wente and Concannon wineries, Livermore is at the heart of the Northern California wine county. The thriving downtown Livermore offers plenty of dining and entertainment venues, including two movie theaters and a performing arts theater. Shopping opportunities abound with local boutiques, and a soon-to-be-opened Paragon Outlet Mall, which will become home many of the top premium outlets, including GAP, Banana Republic, Barney’s New York Outlet, Neimen Marcus Last Call and J Crew. If you live in Contra Costa or Alameda counties, the East Bay Short Sale Group can offer you information on selling your short-sale or regular-equity-sale home, condo, or townhouse. Our seasoned real estate agents have years of experience helping people navigate through the ins and outs of the daunting short sale process. Call us today for a free consultation and home evaluation with one of our professional and courteous realtors who specializes in short sales. We work with all major lenders including credit unions in order to get the best possible result for you. We can expedite the short sale process with no out-of-pocket expense to you. Thank you for visiting our blog and for your interest in 1450 El Dorado Drive in Livermore. Previous post: Martinez Short Sale SOLD!